The Isley Brothers have had one of the most influential careers in the music industry , spanning 50 years and getting to grips with every musical genre that came along - R&B, Rock, Funk, Soul, Disco - and beyond. As is so often the case, our favourite numbers are a little bit off the beaten track, so we’ve decided to share these fantastic forgotten sides. 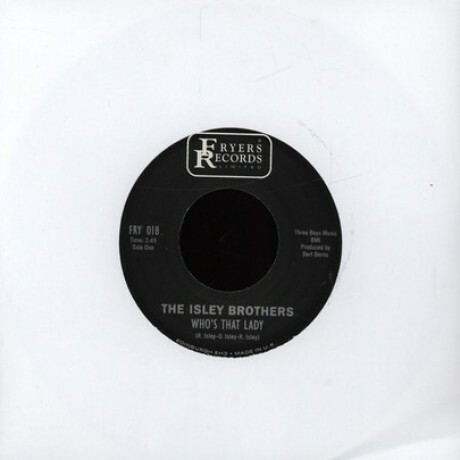 Everybody knows the 1973 hit song for “That Lady” but few but the most avid collectors of soul music 45s are even aware that this record was actually a remake of a song recorded a decade earlier as "Who's That Lady?". This original version is a jazzy doo-wop workout clearly inspired by The Impressions. “St Louis Blues’ dates back to 1914 and has seen 100s of versions, this wonderful version of the blues standard can only be found on an obscure Italian 45 that changes hands only for big money. Spun on the popcorn scene in Belgium, most copies have now disappeared into private collections, so here is a clean press right from the master sounding better than ever. LITTLE JOHNNY TAYLOR "Somewhere Down The Line/ What You Need is a Ball" 7"